Discover a more efficient way to clean your floors with this fantastic Beldray double sided mop. The extendable iron handle allows for comfortable mopping with a further reach, and is even able to bend so you can get into tight spaces such as under sofas or tables. One side of the mop is made from a smooth fabric while the other is made from chenille, which allows you to mop efficiently using one side then flip the mop over and dry the floor with the clean, dry side for brilliant results. 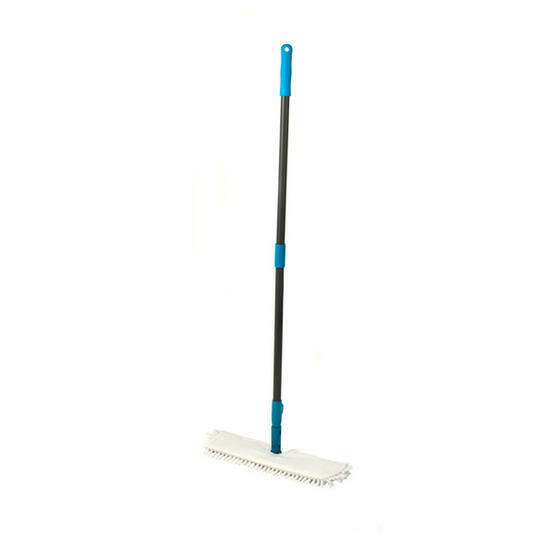 Keep your floors wonderfully clean with this brilliant Beldray bending mop featuring an extendable handle for incredible reach. Suitable for all hard floors, it has powerful cleaning action and enables you to clean quickly with no streaks or residue left behind. Made from durable and lightweight iron, the adjustable handle extends from 54 – 140 cm so you can enjoy easy, hassle free cleaning.